When the Mister and I were about to be married, my aunt (from Florida) sent us two pelicans with Santa hats… they have 1992 and our names written on them. 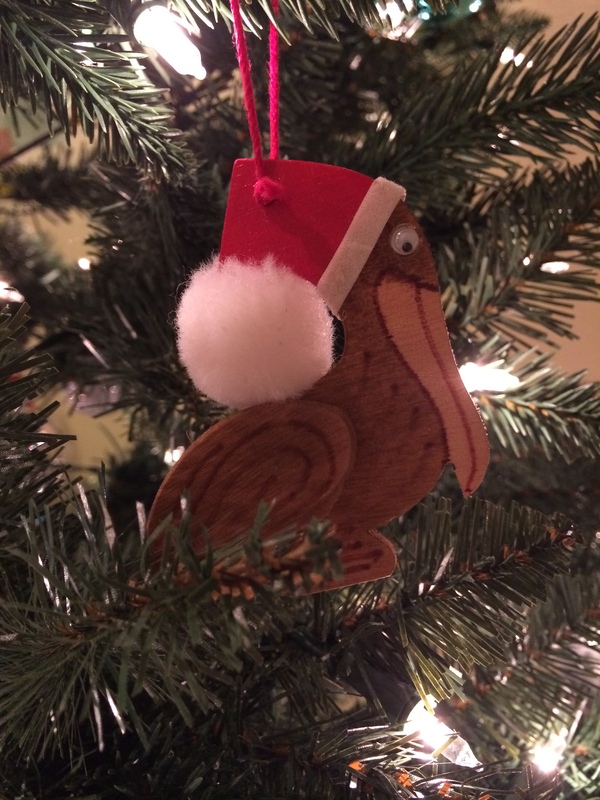 They have been roosting in our Christmas trees for over 20 years. Spending half of my childhood growing up in Florida and the second half in Houston, not far from Galveston, we always were around water and pelicans. It might seem strange for them to be on a Christmas tree, but I kind of like them! He’s a funny bird, that pelican.